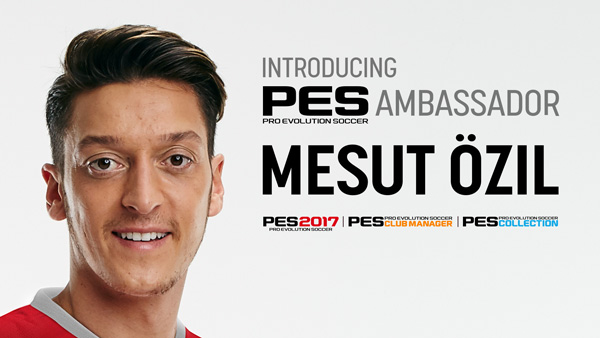 Konami announced Mesut Özil as another PES Ambassador. This has no effect onto the game. It is just important for Marketing and sales. 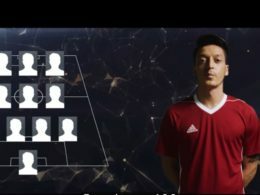 “Konami Digital Entertainment B.V. has announced Mesut Özil, the Arsenal and German attacking midfielder, as an official Ambassador for PES. Mesut Özil’s involvement is not only a highlight for KONAMI, but also for the player himself: “KONAMI has perfected the recreation of football at its highest level, and it is a great feeling to have been chosen as an Ambassador for this incredible series,” said Özil. 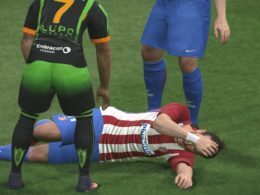 “I have been following PES for years. The series has improved with each year and it has always been among my favourite console games. 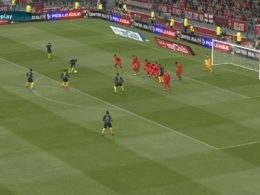 No other game mimics the individuality of playing styles as PES 2017 does, with players capable of changing a game with one remarkable piece of skill. It is fantastic to see myself playing in the game as I do for Arsenal and Germany, and I am extremely excited to be part of this fantastic football project,” Özil added. 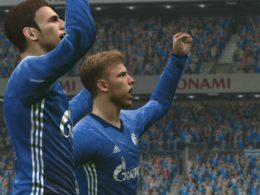 The German star joins the KONAMI team, as it launches its PES LEAGUE the Road to Cardiff eSport tournament. The official UEFA Champions League eSports tournament, the 2016/17 season kicks off today on PlayStation®4 and PlayStation®3 as players can participate via the in-game PES LEAGUE mode within PES 2017 and the free-to-play PES 2017 Trial Edition. Players from all over the globe will take part in local tournaments in mainland Europe, Asia and the Americas, looking to find the 16 best players who will then gather in Cardiff ahead of this year’s UEFA Champions League Final. They will then partake in a knock-out competition, where the ultimate winner will receive $200,000 with those in second and third place receiving $100,000 and $50,000 respectively. Additional prizes will also be available, with $20,000 going to the winners of the two European Regional Finals, the Americas Final and the Asia Final, with additional prizes for the runners-ups. Users can register on www.pesleague.com and can begin the first of many games as they play matches that will see them ranked against their peers. All scores and results from matches played within the PES LEAGUE mode are logged and entrants can monitor their progress via the website. For Europe, the first season of the regional qualifiers will begin today and will end on January 5th, 2017. The second season will be held between February16th through until March 16th, 2017 in mainland Europe. Similarly, two qualifying stages in the Americas will take place, with the first running between December 15th through until January 12th, 2017 and the second taking place between January 12th through until February 16th, 2017. Asia will have one qualifying stage which also begins today and will finish on February 23rd, 2017. 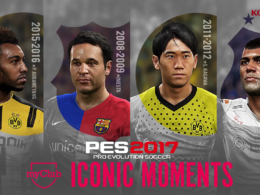 PES 2017 launched for PlayStation®4, XboxOne™, Windows PC, PlayStation®3 and Xbox 360™ on September 15th, with its acclaimed myClub mode adding huge depth to the stunning on field action. 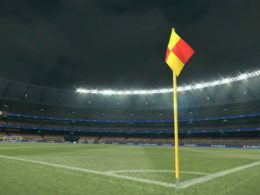 The mode was introduced in PES 2015 and has proved incredibly popular with the series’ many fans. myClub rewards strong match day performances with GP (GamePoints) which can be used to spend on new players to bolster a team. Users can now also purchase myClub coins for use in the game via affordable micro-transactions, and the full currency system is now up and running enabling players to vie for the world’s best talent using PES 2017’s network of top agents.